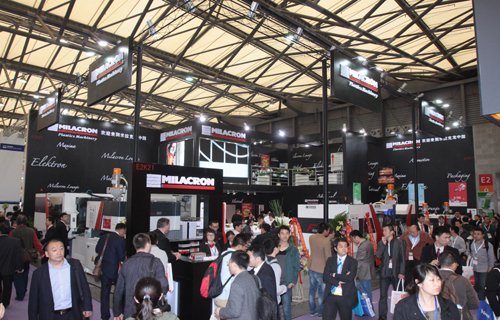 As the only Chinese Partner of I.C.G Specialty Chemical Group, Deltachem (Qingdao) will introduce its new generation additives at CHINAPLAS 2015. 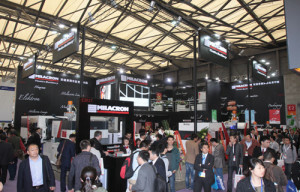 There will be a total of five products to be shown, including UV absorber, light stabilizer, antioxidant, near Infrared absorber and blue bay absorber. For UV absorber Series, there will be two products OMNISTAB UV 1577 and OMNISTAB UV 928. OMNISTAB UV 1577 is a new s-triazine UV absorber. Compared with traditional products, OMNISTAB UV 1577 is of low volatility and compatible with most resins, polymer and additives, the company said. It can be used in a wide variety of polymers, for example, acrylonitrile butadiene styrene (ABS), polycarbonate (PC), polyethylene (PE). Polyamide (PA), polyethylene terephthalate (PET), polybutylene terephthalate (PBT) and polymethyl methacrylate (PMMA). Meanwhile, OMNISTAB UV 928 is a new hydroxyphenyl benzotriazole UV absorber for the coating industry. It has broad band absorption from 280-380nm and good solubility and high thermal and environmental performance. It is particularly suitable for coatings exposed to high temperature curing process, like powder and coil coatings. For light stabilizer series, OMNISTAB LS 119 is non-polymerized high molecular Hindered Amine Light Stabilizer (HALS), improving color yield in pigmented polypropylene (PP) fibers compared to conventional HALS. The additive shows strong resistant against migration and extraction as well as low-volatility during temperature processing. Besides, it can improve the long term thermal oxidative stability of polyolefins and has less interacting with agricultural chemicals. For antioxidant, Deltachem (Qingdao) is showing two products, OMNISTAB AO 80 and OMNISTAB AN 565. OMNISTAB AO 80 an effective hindered phenolic antioxidant that has low volatility and good gas fading resistance. It also shows superior synergism with phosphites and high molecular weight for long term thermal aging and is suitable for most plastics, elastomers and synthetic fibers. Omnistab AN 565 is a non-staining multi-functional hindered phenolic antioxidant consisting functional groups of Antioxidant 1010, Antioxidant 800 and triazine UV Absorber. The additive is an effective stabilizer for a variety of elastomers including polybutadiene (BR), polyisoprene (IR) and emulsion styrene butadiene (SBR). It is also useful for the stabilization of hotmelt adhesives (especially those derived from unsaturated elastomers) and rosin ester tackifier resins, ethylene propylene diene monomer (EPDM), ABS, impact polystyrene (PS), polyamides (PA), and polyolefins. Near Infrared absorber OMNISTAB NIR is a liquid hybrid organic-inorganic nano-pigment covering a broad wavelength from 850-1250nm, with maximum absorption wavelength at 1050nm. It is recommended for use in PC sheet, PMMA, membrane material and infra-red inks to absorb infrared light. Besides, it can also be applied in laser welding industry, heat-absorbing glass, security ink, electronic and optical Industry. OMNISTAB blue ray absorber is an efficient absorber for both UVA and blue Ray, with maximum absorption 475nm. It is specially developed for solvent-borne coatings and polymers requiring strong protection both in the UVA range and blue wavelength of visible light. How will global polyamide market fare in the future?